Authors Guild v. Google is a copyright case litigated in the United States. It centers on the allegations by the Authors Guild, and previously by the Association of American Publishers, that Google infringed their copyrights in developing its Google Book Search database. In late 2013, U.S. Circuit Judge Denny Chin (sitting by designation) dismissed the lawsuit, and affirmed that the Google Books program meets all legal requirements for "fair use,"  in what Publishers Weekly called a "ringing endorsement" of Google. The Authors Guild appealed the ruling to the Second Circuit, in New York, which held oral arguments in late 2014. On October 16, 2015, the Second Circuit "rejected infringement claims from the Authors Guild and several individual writers, and found that the project provides a public service without violating intellectual property law." The Authors Guild petitioned the US Supreme Court, which in April 2016 declined to review the case, leaving the lower court's decision standing. The publishing industry and writers' groups have criticized the project's inclusion of snippets of copyrighted works as infringement. Despite Google taking measures to provide full text of only works in public domain, and providing only a searchable summary online for books still under copyright protection, publishers maintain that Google has no right to copy full text of books with copyrights and save them, in large amounts, into its own database. Siva Vaidhyanathan, associate professor of Media Studies and Law at the University of Virginia has argued that the project poses a danger for the doctrine of fair use, because the fair use claims are arguably so excessive that it may cause judicial limitation of that right. In late 2005 the Authors Guild of America and Association of American Publishers separately sued Google, citing "massive copyright infringement." Google countered that its project represented a fair use and is the digital age equivalent of a card catalog with every word in the publication indexed. The lawsuits were consolidated, and eventually a settlement was proposed. The settlement received significant criticism on a wide variety of grounds, including antitrust, privacy, and inadequacy of the proposed classes of authors and publishers. The settlement was eventually rejected, on March 22, 2011, and the publishers settled with Google soon after. The Authors Guild continued its case, and in 2011 their proposed class was certified. Google appealed that decision, with a number of amici asserting the inadequacy of the class, and the Second Circuit rejected the class certification in July 2013, remanding the case to the District Court for consideration of Google's fair use defense. The Authors Guild, the publishing industry and Google entered into a settlement agreement October 28, 2008, with Google agreeing to pay a total of $125 million to rights-holders of books they had scanned, to cover the plaintiffs' court costs, and to create a Book Rights Registry. The settlement was set to be approved by the court sometime after October 2009. Reaction to the settlement was mixed, with Harvard Library, one of the original contributing libraries to Google Library, choosing to withdraw its partnership with Google if "more reasonable terms" could not be found. As part of the $125 million settlement signed in October 2008, Google created a Google Book Settlement web site that went active on February 11, 2009. This site allowed authors and other rights holders of out-of-print (but copyright) books to submit a claim by June 5, 2010. In return they were to receive $60 per full book, or $5 to $15 for partial works. In return, Google was to be able to index the books and display snippets in search results, as well as up to 20% of each book in preview mode. Google was also to be able to show ads on these pages and make available for sale digital versions of each book. Authors and copyright holders were to receive 63 percent of all advertising and e-commerce revenues associated with their works. After claiming a book, rightsholders would also have the ability to alter the default display settings. In the US, several organizations who took no part of the settlement, such as the American Society of Journalists and Authors, criticized the settlement fundamentally. Moreover, the New York book settlement is not restricted to US authors, but relevant to authors of the whole world. This led to objections even on the level of some European governments and critical voices in many European newspapers. American author Ursula K. Le Guin launched a petition against the settlement, which was signed by almost 300 authors. Libraries everywhere are terrified that Google will engage in price-gouging when setting prices for institutional subscriptions to GBS contents ... Brin forgot to mention another significant difference between GBS and traditional libraries: their policies on patron privacy. ... Google has been unwilling to make meaningful commitments to protect user privacy. Traditional libraries, by contrast, have been important guardians of patron privacy. Others have denounced the settlement for neglecting to protect reader privacy. In November 2009, the parties amended the settlement agreement. The amended agreement included several significant changes: limited the scope to foreign books that are registered with the U.S. Copyright Office or published in the UK, Canada, or Australia, added board members to the Books Rights Registry from the UK, Canada, and Australia, gave the rightsholder the ability to renegotiate the revenue share, gave Google added flexibility in discounting, created a fiduciary to hold payments due to orphan works. If the rightsholder is never ascertained, the funds are distributed cy-près instead of redistributed among rightsholders, and increased the number of public licenses allowed for a library. [I]t is incongruous with the purpose of the copyright laws to place the onus on copyright owners to come forward to protect their rights when Google copied their works without first seeking their permission. [...] While the digitization of books and the creation of a universal digital library would benefit many, the ASA would simply go too far. It would permit this class action - - which was brought against defendant Google Inc. ("Google") to challenge its scanning of books and display of "snippets" for on-line searching - - to implement a forward-looking business arrangement that would grant Google significant rights to exploit entire books, without permission of the copyright owners. Indeed, the ASA would give Google a significant advantage over competitors, rewarding it for engaging in wholesale copying of copyrighted works without permission, while releasing claims well beyond those presented in the case. Accordingly, and for the reasons more fully discussed below, the motion for final approval of the ASA is denied. Judge Chin's ruling changes little for Google users. About two million books that are in the public domain, such as works of William Shakespeare, currently can be viewed free on the Google Books site. [...] Google Books users currently can view long previews of another two million books that are in copyright and in print, thanks to agreements between Google and tens of thousands of publishers that were separate from the legal settlement. Millions more books that are in copyright but out of print are currently available in Google Books in a shorter 'snippet view.' Had the settlement been approved, users would have been able to see longer previews and potentially buy those books. In my view, Google Books provides significant public benefits. It advances the progress of the arts and sciences, while maintaining respectful consideration for the rights of authors and other creative individuals, and without adversely impacting the rights of copyright holders. 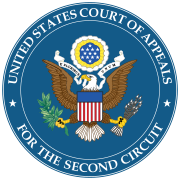 On April 11, 2014, the Authors Guild appealed the ruling to the U.S. Second Circuit. It also began lobbying Congress to create a non-profit organization similar to ASCAP that would digitize and license books from participating authors to all libraries, schools, and other organizations choosing to pay a subscription fee. Oral arguments were held on December 3, 2014, before Judges Pierre N. Leval, José A. Cabranes, Barrington Daniels Parker, Jr.. On October 16, 2015, the Second Circuit unanimously affirmed the judgment in Google's favor. Google’s unauthorized digitizing of copyright-protected works, creation of a search functionality, and display of snippets from those works are non-infringing fair uses. The purpose of the copying is highly transformative, the public display of text is limited, and the revelations do not provide a significant market substitute for the protected aspects of the originals. Google’s commercial nature and profit motivation do not justify denial of fair use. Google’s provision of digitized copies to the libraries that supplied the books, on the understanding that the libraries will use the copies in a manner consistent with the copyright law, also does not constitute infringement. Nor, on this record, is Google a contributory infringer. On December 31, 2015, The Authors Guild (on behalf of three named authors and "others similarly situated") filed a petition for writ of certiorari with the U.S. Supreme Court requesting that the Court review the Second Circuit's October 16, 2015, decision. 1. Whether, in order to be "transformative" under the fair-use exception to copyright, the use of the copyrighted work must produce "new expression, meaning, or message," as this Court stated in Campbell and as the Third, Sixth, and Eleventh Circuits have held, or whether the verbatim copying of works for a different, non-expressive purpose can be a transformative fair use, as the Second, Fourth, and Ninth Circuits have held. 2. Whether the Second Circuit’s approach to fair use improperly makes "transformative purpose" the decisive factor, replacing the statutory four-factor test, as the Seventh Circuit has charged. 3. Whether the Second Circuit erred in concluding that a commercial business may evade liability for verbatim copying by arguing that the recipients of those copies will use them for lawful and beneficial purposes, a rationale that has been flatly rejected by the Sixth Circuit. On April 18, 2016, the Supreme Court denied the petition for writ of certiorari, leaving the Second Circuit ruling in Google's favor intact. ^ "We trust that the Supreme Court will see fit to correct the Second Circuit’s reductive understanding of fair use....", Authors Guild, Oct. 16, 2015, "2nd Circuit Leaves Authors High and Dry" (Press Release). ^ Liptak, Adam (April 18, 2016). "Challenge to Google Books Is Declined by Supreme Court". New York Times. Retrieved April 18, 2016. ^ People's Daily Online (August 15, 2005). "Google's digital library suspended". ^ Siva Vaidhyanathan. "The Googlization of Everything and the Future of Copyright", University of California Davis Law Review, volume 40 (March 2007), pp. 1207–1231, (pdf). ^ a b Copyright infringement suits against Google and their settlement: "Copyright Accord Would Make Millions More Books Available Online". Google Press Center. Retrieved November 22, 2008. ^ 770 F. Supp. 2d 666 (S.D.N.Y. 2011). ^ Authors Guild, Inc. v. Google, Inc., 721 F.3d 132 (2d Cir. 2013). ^ "Google Online Book Deal at Risk". ^ Flood, Alison (January 22, 2010). "Ursula Le Guin leads revolt against Google digital book settlement". The Guardian. London. ^ "Openbookalliance.org". Archived from the original on 2013-09-10. Retrieved 2013-08-14. ^ "The Case for Book Privacy Parity: Google Books and the Shift from Offline to Online Reading". Harvard Law and Policy Review. May 16, 2010. Archived from the original on August 12, 2010. Retrieved September 8, 2010. ^ Pohl, R.D. (November 17, 2009). "Google Books Settlement gets a makeover". The Buffalo News. Retrieved March 26, 2010. ^ Hagey, Keach (March 17, 2010). "Understanding the Google publishing settlement". The National. Retrieved March 26, 2010. ^ Siy, Sherwin (November 17, 2009). "The New Google Book Settlement: First Impressions on Orphan Works". Public Knowledge. Archived from the original on June 9, 2010. Retrieved March 26, 2010. ^ Full text of Judge Chin's ruling. ^ Amir Efrati and Jeffrey A. Trachtenberg (March 23, 2011). "Judge Rejects Google Books Settlement". Wall Street Journal. ^ "Opinion in Authors Guild v. Google", Circuit Judge Chin, Case 1:05-cv-08136-DC Document 1088, November 14, 2013. Retrieved November 17, 2013. ^ Slip op. at 46. ^ Authors Guild v. Google, Inc., No. 15-849 (Dec. 31, 2013). ^ Campbell v. Acuff-Rose Music, Inc., 510 U.S. 569 (1994) (2 Live Crew "Pretty Woman" parody case). Castro, Clarice; de Queiroz, Ruy (2013). "The Song of the Sirens: Google Books Project and Copyright in a Digital Age". Information, Communication & Society. 16 (9): 1441–1455. doi:10.1080/1369118X.2012.681678. Hausman, Jerry A.; Sidak, J. Gregory (2009). "Google and the Proper Antitrust Scrutiny of Orphan Books" (PDF). Jnl of Competition Law & Economics. 5 (3): 411–438. doi:10.1093/joclec/nhp017. "After 10 Years, Google Books Is Legal". The Atlantic. October 2015. "Judge Leval's Google Books Decision: Who Owns the Copyright on 1921?". The Atlantic. October 2015.